The person, company or commodity that will manage the property in the trust according to how the trust documents direct. As the creator of the trust, the grantor, you may appoint any competent adult as trustee. The Trust will establish guidelines for how the trustee may administer and distribute the assets of the trust. Do you need an attorney to create a Revocable Living Trust? While it is possible to create a Revocable Living Trust on your own, and there are various on-line services and software programs to help you do it, this can lead to financially catastrophic problems. A lawyer with experience in this area has the judgment and knowledge necessary to avoid the innumerable pitfalls and advise the course best suited for each individual situation. Every family is unique, with very specific dynamics, concerns and goals. 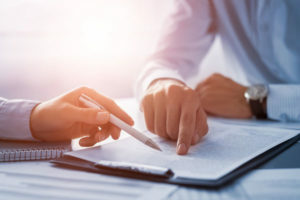 A lawyer can take these into account and design a customized Revocable Living Trust capable of meeting your goals and anticipating potential problems down the road. It is safer, and quite often more economical in the long run, to have an attorney design and implement your Revocable Living Trust. It is also important to have an attorney review your Trust at least every three years, to make sure it is still valid, properly funded, and fully capable of meeting your needs.